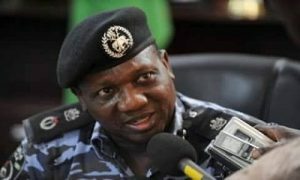 The Inspector-General of Police, Ibrahim Idris, on Friday said the police have so far apprehended about 3,000 suspected kidnappers nationwide. The IGP made this known when he briefed State House correspondents after a closed door meeting with President Muhammadu Buhari at the Presidential Villa, Abuja. He said that already a task force had been inaugurated to scrutinise and streamline the suspects with a view to ensuring their speedy trial. “We are taking them to court on everyday basis. “Presently we have almost over 3000 suspects in the various police stations all over the country and we are taking them to court. “Recently, I set up a task force to sort of streamline or scrutinize these cases so that we have speedy trial of some of these suspects,’’ he said. The police boss said he had deployed special police unit to patrol the Abuja-Kaduna- Kano highway with a view to checking the menace of armed robbers and kidnappers along the road. He appreciated the efforts of the National Assembly for proposing death penalty for those found guilty of kidnapping in the country. The IGP expressed the hope that the nation would soon witness drastic fall in cases of kidnapping in view of the proposed death penalty.